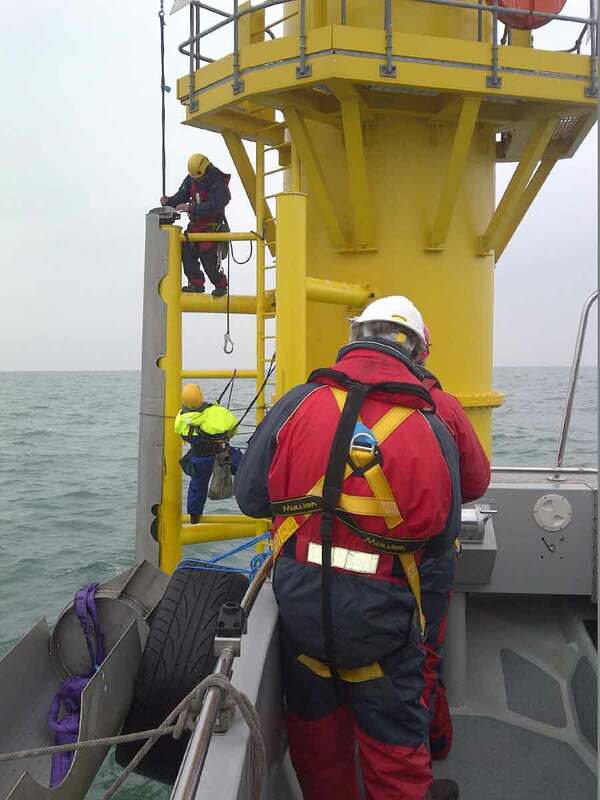 In conjunction with another local boat, I have been assisting with the transfer of crew to the Rampion wind farm meteorological mast. 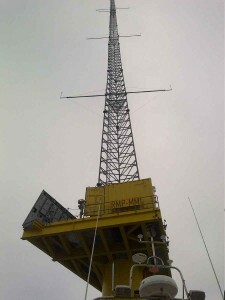 The met mast has been installed to monitor the weather and the sea conditions, prior to the building of the wind farm. It will remain in place doing it’s job throughout the proposed 50 year life of the wind farm turbines. 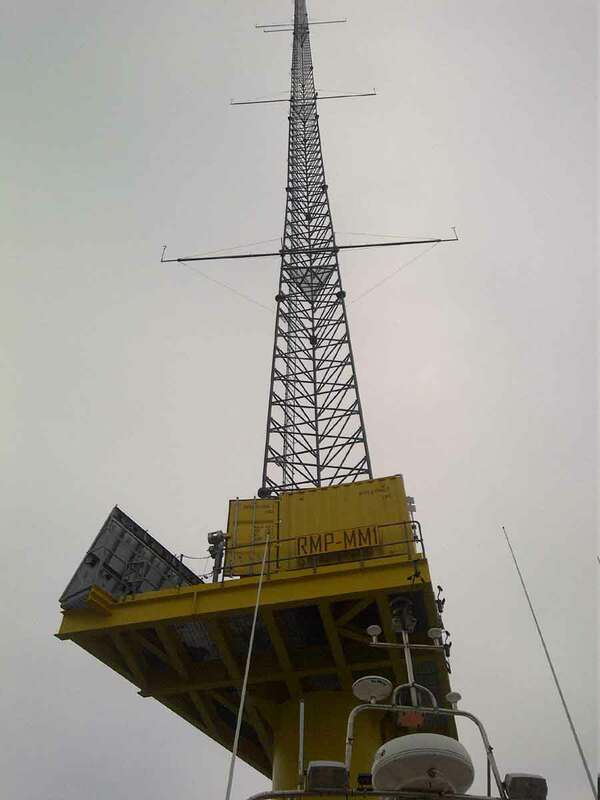 The mast itself extends up into the air taking wind measurements at various altitudes. 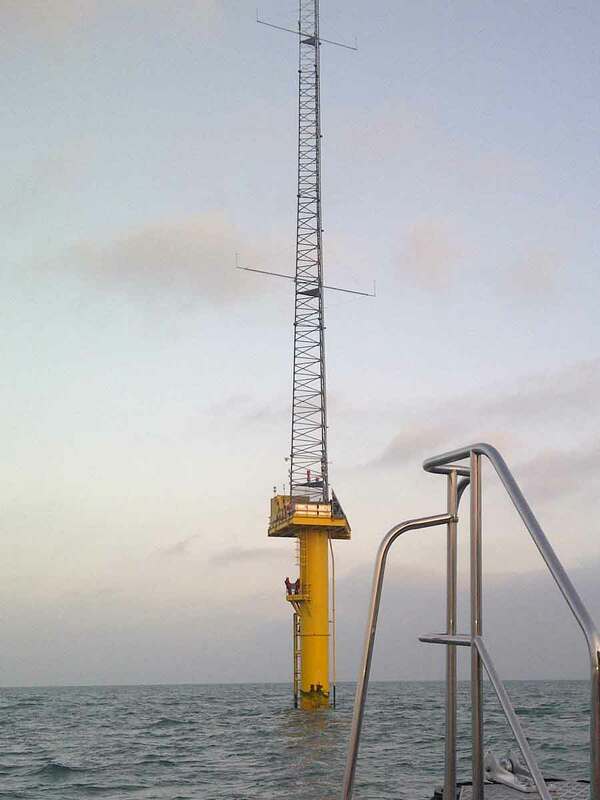 There is also a subsea station monitoring the tides and currents. The mast itself is solar powered and works autonomously. It also features a high level of security with cameras instantly detecting any intruders who stray near it. So not many get to see it close up like in the picture below. The mast needs maintenance and that is where the boat transfers come in. Simply to take the men to the wind farm to carry out the required work. 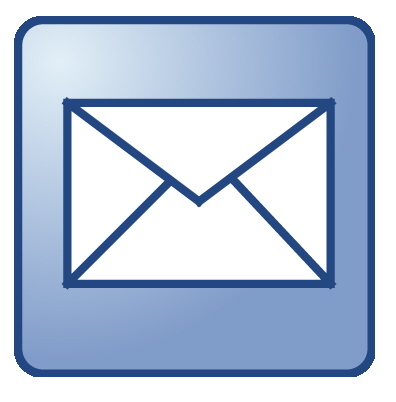 This is not a simple job. 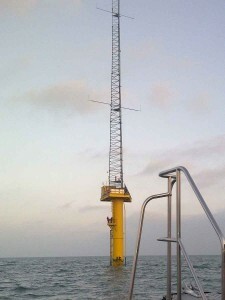 The boat is modified to safely dock with the wind farm. 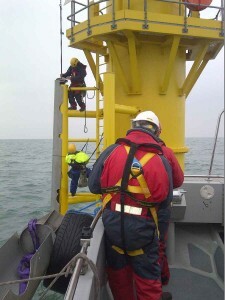 All work is carried out under strict safety procedures as wind and sea make the work hazardous.